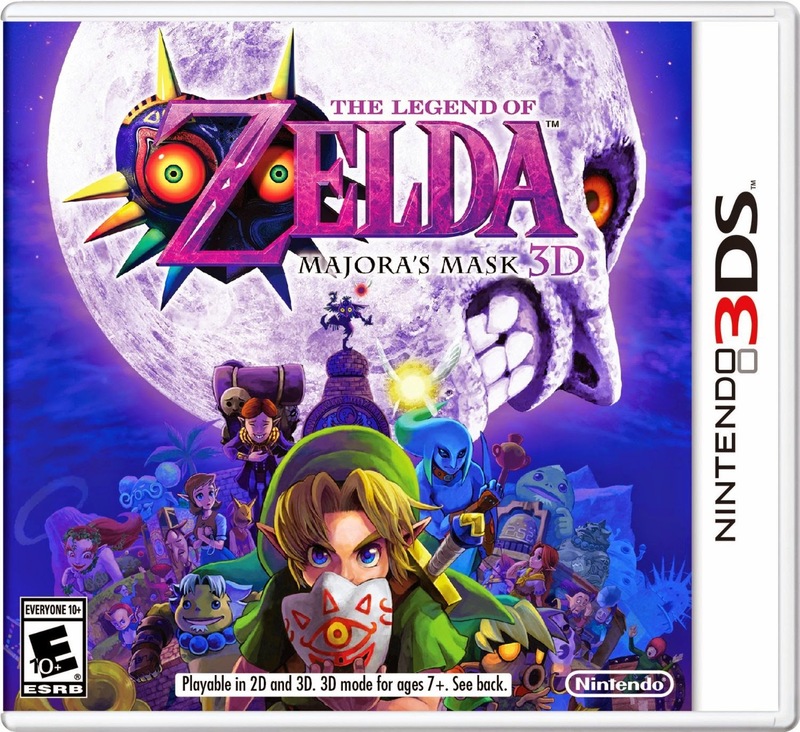 The Legend of Zelda: Majora's Mask is releasing on Friday and I'm seriously thinking about picking it up. I'm still sitting on the fence because I had a lot of trouble getting into Ocarina of Time on 3DS when I attempted to play it a few months ago. My struggle getting into Ocarina of Time was that I remembered the game too well. I had played those 3 intro dungeons so many times as a kid that I still remembered everything about them. I got bored before I even got to the first adult Link section. So I promptly gave up on the game. This shouldn't be a problem with Majora's Mask. I played the game once and only have some scattered memories of it. Everything I remember about the game is positive. I still think the 3 day cycle mechanic is really interesting. Nothing like it has been done elsewhere in gaming. Majora's Mask is the most unique Zelda game out of the whole series. If I do pick it up, I'm hoping it can rekindle my love of the 3D Zelda games. I've had a falling out with them ever since Twilight Princess. It was the first 3D Zelda game I didn't finish. And then on the Wii I never even played Skyward Sword because I really dislike motion controls. Although I still love Wind Waker, I've been very down about the other 3D games in the series lately. I'm leaning towards getting the game when it comes out later this week, but I'm still not sure. Time will tell. I'm going to admit that I never played the original Majora's Mask. I was kinda falling out of console games at this point in time, and just never got into it. So I'm looking forward to the DS release because I'd like to see what I missed! I dabble in so many different game types and genres. I completely understand how you can get pulled away from a game even though you're interested in it. I never played through Majora's Mask because I hated the 3-day cycle that kept the game moving. I hated it, and maybe it was because I was a teenager and didn't grasp how it could be awesome, but I always just felt the game wasn't Ocarina of Time, and that sucked for me. I'd like to play it again someday, and I still have my old N64 version somewhere. I just haven't been able to bring myself to ever try it again. To be fair, the 13-hour stuff that's going on in Lightning Returns feels very much the same to me (in theory), and that's one major reason I've never even thought about the game. It felt too Majora's Mask-y. The good thing about Majora is that there's no overall time limit. You can always reset the cycle and start again, unlike Lightning Returns. You might like it if you go back and try it again. The 3-day cycle makes it so that you need to focus on one or maybe two quests at most in any given cycle. It really makes you focus and not get sidetracked. Then, when you've completed your goal for that cycle, you reset and start a new cycle.